Your brain is an organ that controls every function in your body. It takes the information it receives from your senses and interprets it for your body parts, signaling what to do at all times and storing info for later recall. Your brain also governs your intelligence, creativity, memory and emotion. 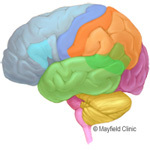 Divided into three main parts — the cerebrum, cerebellum, and brainstem — and multiple lobes that control different things, your brain is a complex organ. 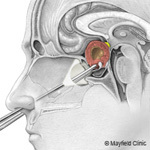 An acoustic neuroma is a tumor that grows from the nerves responsible for balance and hearing. They are not cancerous and usually grow slowly. Over time, the tumor can cause gradual hearing loss, ringing in the ear and dizziness. Because of their slow growth, not all acoustic neuromas need to be treated. The ones that do may need observation, surgery or radiation. 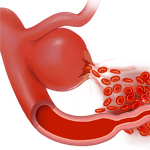 When your artery walls are weak, they can form a balloon-like bulge known as it aneurysm. 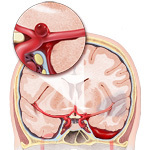 As a brain aneurysm grows, it becomes thinner and weaker and may eventually rupture, releasing blood into spaces around the brain and causing a life-threatening stroke. 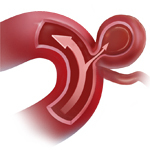 Treatment starts with stopping the bleeding and repairing the aneurysm through surgery. Most aneurysms are silent. You don't know you have one until it ruptures. 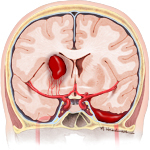 But not every brain aneurysm is at risk of rupturing — it depends on the location and size. 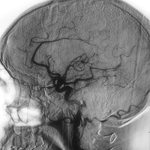 Unruptured brain aneurysms may cause headaches or vision problems. A scan of the brain uncovers the problem as well as the risk for rupturing and whether surgical repair is warranted. 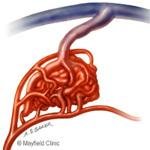 An abnormal tangle of blood vessels in your brain or spine, an arteriovenous malformation (AVM) causes your arteries to connect directly to veins, which are not equipped to handle the blood flow. 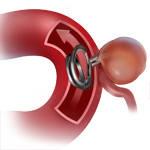 The AVM creates a high-pressure shunt and as the pressure builds, your blood vessels stretch, sometimes to the point of rupture. Surgery and noninvasive procedures clean repair an AVM and restore normal blood flow. A tumor is abnormal tissue that grows by uncontrolled cell division. Normal cells grow in a controlled manner as new cells replace old or damaged ones. For reasons not fully understood, tumor cells reproduce uncontrollably. 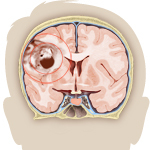 There are many types of brain tumors. Treatment depends on the type, size and location of the tumor, whether it has spread and your age and health. A glioma is a type of brain tumor that grows from glial cells, which help maintain the blood-brain barrier. Glioma is an umbrella term used to describe the different types of glial tumors: astrocytoma, oligodendroglioma, and glioblastoma. Treatment options vary depending on the cell type and the aggressiveness of the tumor. A meningioma is a tumor that grows from the protective membranes, called meninges, that surround your brain and spinal cord. When they grow inward, they put pressure on your brain; outward, they cause your skull to thicken. 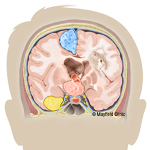 Most meningiomas are benign and slow-growing, so symptoms appear gradually and the tumor may not need immediate treatment. When the meningioma starts causing problems, surgery or radiation is often necessary. Cancer that starts in another part of the body can spread to your brain through your blood or nearby tissue, resulting in a metastatic brain tumor. Cancers in your lungs, breasts, skin, kidneys and colon are the most likely to spread to the brain. 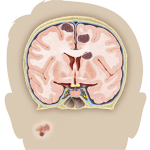 Symptoms and treatment of metastatic brain tumors depend on its location in the brain and the staging of the primary cancer. 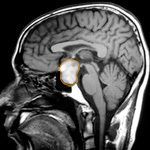 Your pituitary gland is a small, bean-shaped organ that sits behind your nose, at the base of your brain. It controls all the other endocrine glands in your body as well as many different hormones. When a tumor grows on your pituitary gland, it can interfere with your hormone levels and cause vision problems. Most pituitary tumors are curable. They are either removed or shrunk with medication or radiation. The carotid arteries supply blood to your brain. Carotid stenosis, or carotid artery disease, is when a buildup of plaque causes these arteries to narrow, reducing blood flow to your brain. Only severe cases show symptoms. Treatment for carotid stenosis aims to reduce your risk of stroke by controlling or removing the plaque buildup to prevent blood clots. 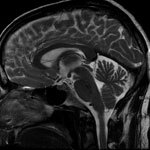 Chiari I malformation is a condition in which the lower part of your brain, the cerebellar tonsil, herniates down through your skull and into your spinal canal. The herniated tissue presses against your brainstem and blocks the normal flow of spinal fluid. These malformations cause a range of symptoms that require regular monitoring, medication or surgery to resolve. A blow or jolt to the head can cause sudden damage to your brain, resulting in injuries ranging from a mild concussion to permanent brain damage. Accidents, falls, sports injuries and assaults are common causes of traumatic brain injury. Severe brain injuries require intensive care and life-saving surgery, followed by intense rehabilitation to relearn and recover your skills. A hemifacial spasm is when the muscles on one side of your face involuntarily twitch or contract. In most cases, the spasm starts near the eye and progresses down the face over time. Stopping the spasms requires medication, surgery or Botox injections. Bleeding in the brain can cause a life-threatening type of stroke known as intracerebral hemorrhage (ICH). High blood pressure that causes arteries to break open, head trauma and arteriovenous malformations are the most common causes. Treatment focuses on stopping the bleeding, removing the blood clot, and relieving the pressure on the brain. 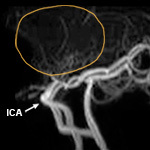 Intracranial stenosis is when a buildup of plaque causes the arteries inside your brain to narrow, reducing blood flow. Any loss of blood flow to your brain can lead to a stroke so treatments are aimed at reducing your risk by controlling or removing the plaque buildup that can lead to dangerous blood clots. Moyamoya disease is a chronic and progressive narrowing of the arteries at the base of your brain. 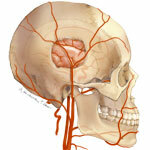 As these blood vessels narrow and become blocked, your risk of stroke rises. Medications can't stop or reverse the progression, so surgery is commonly recommended to restore normal blood flow to the brain and prevent future strokes. A subarachnoid hemorrhage (SAH) is a life-threatening type of stroke caused by bleeding around your brain. It can be caused by a ruptured aneurysm, arteriovenous malformation or head injury. Only two-thirds of patients with a SAH survive and half of them have a resulting disability. SAH treatment focuses on stopping the bleeding, restoring normal blood flow, and preventing vasospasm, a complication that causes the walls of your arteries to spasm and cause another stroke. 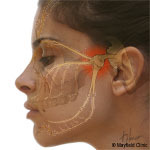 Intense attacks of extreme pain and muscle spasms in your face are known as trigeminal neuralgia. It can occur without warning or by touching specific areas of your face. The blood vessels in your face are compressing the nerve, leading to the pain and spasms. Medication, injections, surgery and radiation may be used to treat the pain. 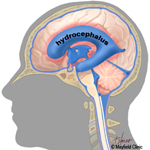 Despite its name, there's nothing normal about normal pressure hydrocephalus (NPH). It occurs in older adults when too much spinal fluid builds up inside the brain. 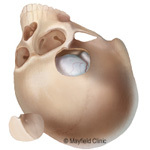 The ventricles where the fluid is produced fill up and stretch, damaging the brain and causing mild dementia, walking difficulties and urinary issues. The fluid must be drained to resolve the symptoms. 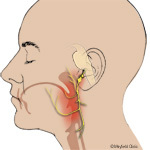 In the medical field, extreme pain of the tongue, ear or back of the throat is called glossopharyngeal neuralgia. Intense attacks of pain that feel like electric shocks can happen suddenly or after swallowing. 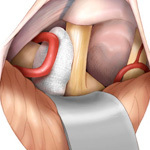 Surgery is often needed to fix the blood vessel that's compressing the nerve and provide long-term pain relief. 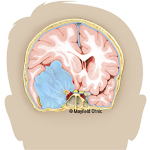 A suboccipital craniotomy is a surgery to remove a medium or large acoustic neuroma that's causing problems. A section of your skull behind the ear is removed to access the tumor and nerves. This surgery helps maintain facial nerve function, preserves your hearing and removes the tumor. Clipping is a procedure where a neurosurgeon places a tiny clip across the neck of a brain aneurysm to stop or prevent bleeding. A portion of your skull is opened to expose the aneurysm and place the clip. Also known as an arteriogram, an angiogram is a test that helps in the diagnosis of a stroke, aneurysm, arteriovenous malformation, tumor, blood clot and arterial stenosis. Angiograms use X-rays to take pictures of your blood vessels. A dye is inserted into your arteries to make them visible on the X-ray and make the problems with the blood vessels clear. Cerebral bypass surgery restores blood flow to your brain to help prevent strokes. It's the brain's equivalent of a coronary bypass in the heart. Cerebral bypass surgery connects a blood vessel from outside your brain to a vessel inside to reroute blood flow around a damaged or blocked artery. 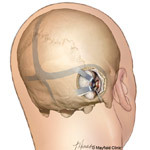 A craniotomy is a surgery that cuts a section of your skull, called a bone flap, to access your brain. It is a standard procedure needed to perform other surgeries to treat a variety of brain issues. The bone flap removed during a craniotomy is usually replaced with tiny plates and screws after your surgery is complete. 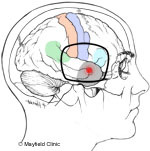 Removing pituitary tumors helps reverse vision problems and restores hormone balance. The procedure to remove the tumors from the pituitary gland is known as endoscopic pituitary transsphenoidal surgery. It's a minimally invasive surgery where a surgeon inserts a tiny endoscope camera and light through your nostrils to access the pituitary gland. When medication can't control epileptic seizures, surgery is an option. Epilepsy surgery is used to either remove the area of your brain where seizures begin or stop the spread of seizure to other areas. The goal of epilepsy surgery is to provide better control of seizures without causing a loss of brain function. 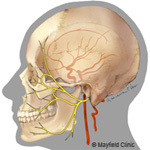 Microvascular decompression (MVD) is a surgery to relieve the pain, twitching and other symptoms caused by the compression of a cranial nerve by an artery or vein. A neurosurgeon opens your skull and inserts a sponge between the nerve and artery or vein that's causing pain signals. MVD is an option when medications become ineffective or cause serious side effects. 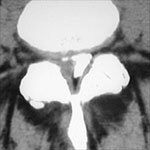 When abnormalities are spotted on a CT scan or MRI, it may be necessary to take a sample of the tissue for further examination under a microscope. 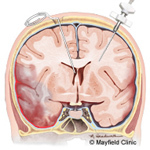 This procedure is called a brain biopsy. 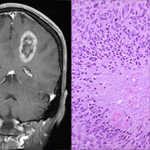 Cells removed in a biopsy can show what kind of brain lesion is present and if it's cancerous. A computed tomography (CT) scan is a type of X-ray that creates slices of images of your body to better see your tissue. It's used to diagnose tumors, hemorrhages, head injuries, and bone abnormalities. 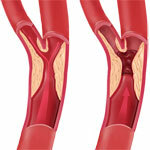 A CT angiogram takes images of your veins and arteries with the help of contrast dye injected into your blood vessels. An MRI, or magnetic resonance imaging, is a diagnostic test that takes detailed images of the soft tissues of the body to detect tumors, strokes and herniated disks. Unlike X-rays and CT scans, images are created by using a powerful magnet and radio waves. 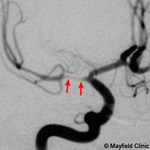 When a dye is used to enhance the picture of your blood vessels, it's an MR angiogram. 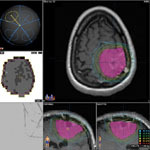 Magnetic resonance (MR) spectroscopy measures the biochemical changes in your brain for the presence of tumors. 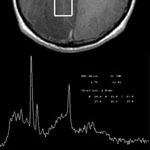 This diagnostic test is conducted on the same machine as an MRI. Instead of identifying the location of a tumor, it compares normal brain tissue to abnormal tumor tissue to detect changes after stroke or epilepsy. A positron emission tomography (PET) scan is a type of nuclear imaging test that shows the energy usage of your brain and provides information about how it's working. 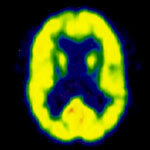 PET scans are used to detect cancer, seizures and Alzheimer's disease. 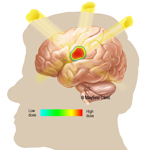 Radiosurgery uses high-dose beams of radiation to destroy tumors and other diseases. The rays are tightly focused to kill only the cells in the target area without damaging healthy cells nearby. Radiosurgery can be a safer alternative to brain surgery, especially if you have a health condition that rules out surgery or the problem is in a hard-to-reach area of your brain. Radiotherapy is a treatment of high-energy rays given daily over several weeks to shrink or kill tumors and abnormal cells. Radiotherapy uses beams with lower doses of radiation than radiosurgery to treat a tumor as well as the normal cells that surround it in order to prevent recurrence. 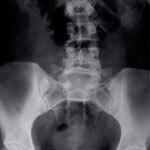 An X-ray is a diagnostic test that uses radiation to take pictures of your body tissues. As the radiation beams pass through your body, your bones and tissue absorb or block the rays, depending on their density. This creates black-and-white X-ray images.